The Blended Retirement System, or BRS, took effect January 2018. Those that had more than twelve years of service were grandfathered into the old system while those who had less than twelve years of service were given a choice between either retirement plan. And anyone new to the military was and is enrolled into the BRS now. Last year, in an effort to better understand this new system, I reached out to Michael Meese, Retired Brigadier General and COO of American Armed Forces Mutual Aid Association (AAFMAA). 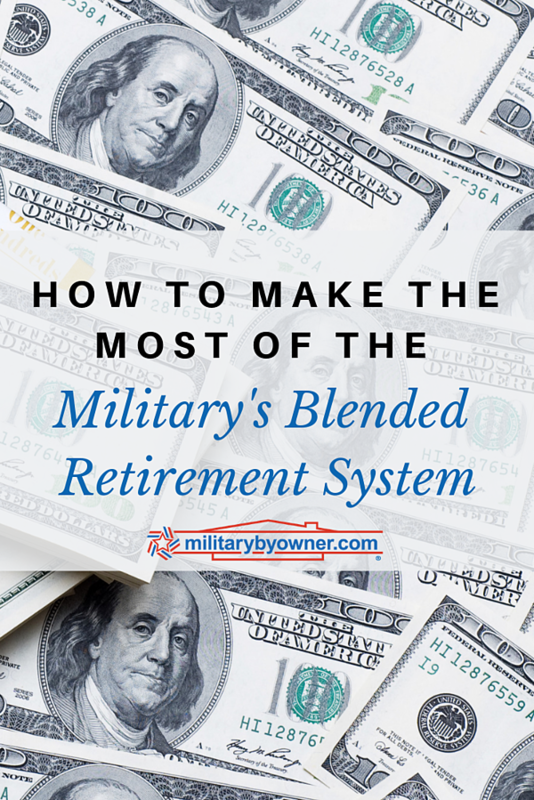 After speaking with him, I wrote the basics of the BRS in Understanding the New Blended Retirement System. But it’s been a while since many of us made the decision between the old and the new, and so I think it's time to revisit the topic and make sure that we’re making the most of the BRS. 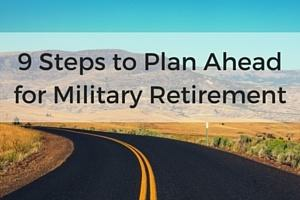 This portion of the retirement system operates like a civilian 401K. You put a percentage of your income into TSP, which is invested by TSP for your retirement. The DOD will automatically contribute 1% for everyone in the new plan automatically, and will match up to 5% of your monthly savings in TSP. Somewhere between 8 and 12 years of service, members are offered a mid-career bonus in return for an additional three-year commitment. This portion of the BRS is given for life after completion of 20 years of service. It is calculated by 2% x number of years served x retired base pay. The difference between this portion of the BRS is that now it is 2%, instead of 2.5% under the old system. The BRS affects everyone that signed after December 31, 2017. Every current service member who’s served less than twelve years had the option to join the BRS and must make the decision by December 31, 2018. Those who'd served longer than twelve years upon the enrollment period for the BRS were not eligible (nor would they have likely wanted to). Invest the full 5% into your TSP investments. Since the largest criticism of the new retirement system is that service members won’t see as large of a payout upon a full 20 year or more military career, the TSP is the best way to ensure that you do receive the largest financial benefit you can. There is more you can do to plan for your retirement than investing 5% of your monthly income into the TSP. We don’t like to think about it, but military careers are not perfect. There is promotion pass over, injury, and death that could alter your retirement with either of the systems. So it’s important that you diversify your investments and rely not solely on either system. Mike suggests looking at additional life insurance policies through companies like AAFMAA, USAA, and Navy Federal. You should also consider investments outside the TSP, including real estate. MilitaryByOwner Advertising is here to help you buy, rent and sell properties, so let us help make your real estate investments a success!